Water is a precious resource. 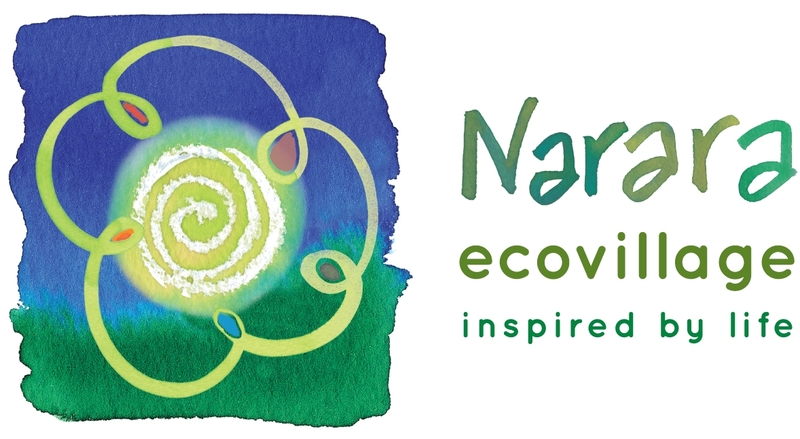 Narara Ecovillage is committed to employing the highest efficiency standards in the use of its water. You have an important responsibility in ensuring these standards are applied in the use of water within your home and on your property. NEV Water currently has in force Water Wise Rules similar to those in place throughout many parts of NSW including Sydney and the Central Coast. Among these rules is a restriction on watering outdoors between 10am and 4pm and the requirement to use a trigger nozzle when hosing. The dishwasher is the highest consumer of water in the kitchen. Before purchasing a new dishwasher, check the appliance for a WELS (National Water Efficiency Labelling and Standards Scheme) label. The more WELS stars for water efficiency, the more water efficient the product. A WELS dishwasher uses half the water of an average model. A high WELS rating on appliances will also improve your score on the NEV building standards scoresheet. Look for dishwashers that have a National Water Conservation or WELS Label. The best water rating achieved by dishwashers is five star. Use short wash cycles for everything but the dirtiest dishes. Short cycles use less energy and work just as well. If there’s no air-dry setting, turn the dishwasher off after its final rinse and open the door. The dishes will dry slowly, but without using any extra electricity. When boiling vegetables, use enough water to cover them and keep the lid on the saucepan. Your vegetables will boil quicker and it will save you water, electricity, and preserve vitamins in the food. Don’t use running water to defrost frozen food. Ideally place food in the refrigerator to defrost overnight. Fifteen to twenty per cent of all water consumed in the home is used in the laundry, making this room a high consumer of not only water, but also energy and detergents. Although all NEV buildings are supplied with dual water supplies, potable and recycled, unfortunately the water connection to the washing machine must be potable water. Look out for the WELS (Water Efficiency Labeling and Standards) label – this is displayed on the product or a swing tag. It demonstrates the manufacturers and importers have ensured their product has been tested and complies with the Australian Standard in the respective category. Look for washing machines that have a WELS label of four or more stars. Adjust the water level to suit the size of the wash load – some new water efficient models will do this automatically. If the tap still drips, call a licensed plumber. The cost incurred will save you money on your water bills in the long run. A dripping tap can waste up to 3 buckets of water a day. That’s over a 1,000 buckets a year. Nearly half of all water consumed in the home is used in the bathroom. However you will benefit from the use of recycled water for use in flushing toilets which consumes about 20% of water in a normal bathroom. Look for products that have a high WELS star rating. The more stars, the more water efficient the product. A standard three-star rated showerhead can save the average home $60 a year in water and energy costs and be purchased for $50 or less. A 3 star shower heads use no more than 9 litres of water per minute, while older style showerheads use 15–20 litres per minute. If you shower for six minutes, a water efficient showerhead can save up to 50 litres of water for each shower or up to 20,000 litres of water per person per year. Take shorter showers. Limit time spent in the shower to soap up, wash down, and rinse off. Shorter showers save on energy costs associated with heating water. Aim for a 4 minute shower. Use a shower timer. Choose from a manual four-minute egg timer or a more sophisticated electronic timer that either attaches to the shower wall or showerhead, or is wired into the wall during construction. Although every NEV home will have a recycled water supply which can be used for flushing toilets and garden irrigation, residents are also encouraged to consider using greywater for outdoor purposes. This will reduce the costs for NEV Water by reducing waste water requiring treatment and further improves our overall water consumption efficiency. Grey water can be used to water gardens. You are encouraged to avoid the heat of the middle of the day when evaporation is high. What is Greywater? – Greywater is any water that has been used in the shower, bath, washing machine or sink. Is there any way I can collect and use greywater for free? You can also manually collect greywater using a bucket in the shower or laundry for reuse in the garden. Is greywater suitable for vegetables, fruits and herbs? No. Greywater should not be used on any plants intended for consumption.